SpaceX Rocket Will Attempt Lift Off For A Second Time On Tuesday : The Two-Way The unmanned, docking mission to the International Space Station is intended show that the private company is ready to haul cargo for NASA. SpaceX rocket Falcon 9 at Cape Canaveral in Florida was scheduled to launch Saturday morning, but aborted just before liftoff. The SpaceX unmanned rocket will try to lift off again, after its first attempt was scrubbed a half-second before launch on Saturday. The privately funded spacecraft is set to take off on a mission to the International Space Station at 3:44 a.m. ET Tuesday. As Space Flight Now reports, this is a "is a crucial demonstration for SpaceX, which holds a NASA contract to deliver cargo to the space station." SpaceX is hoping to become the first private company to visit the space station. 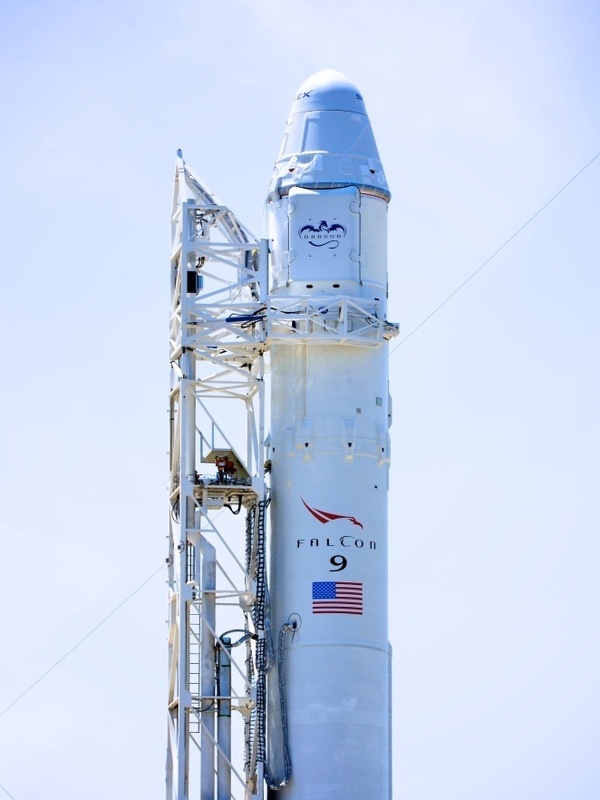 The Los Angeles Times reports that Saturday's launch was cancelled after a anomaly was detected in one of the rocket's nine engines. "SpaceX has had two successful launches of its Falcon 9 rocket. The most recent blast-off was in December 2010 when SpaceX became the first private company to send a spacecraft into orbit and return it intact. "The company, based in Hawthorne with about 1,800 employees, is launching the rocket carrying its Dragon space capsule in a demonstration for NASA. The unmanned docking mission to the space station is intended to prove that SpaceX's rocket and capsule are ready to take on the task of hauling cargo for the space agency now that the space shuttle fleet has been retired." The Dragon capsule, perched atop the Falcon 9 rocket, will attempt take off from Cape Canaveral in Florida.